The long awaited Beijing 2008 Olympic Games finally had started. I leaned on the easy chair to watch the live broadcast of the open ceremony of Beijing 2008 Olympic Games at 8.30 pm August 8. The fireworks that brightened Beijing night sky had widened the vision of the world and strengthened the relationship of mankind. 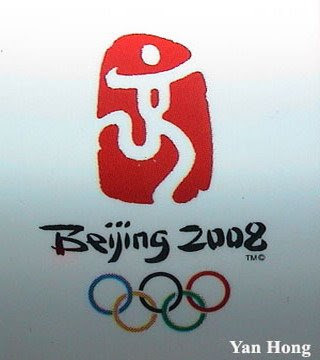 Beijing 2008 Olympic Games is not only the glory of the Chinese but also the beginning of the "One World One Dream". Hopefully the Olympic spirit will exist forever to achieve a peaceful and harmony world. One world one dream ... through sports. China have a great atletes. There is no other words than WWWOOOOWWW!! you make world open their eyes. It really wonderful. not sure about peaceful and harmony world :P 12hrs later, russia decided to attack georgia.